You are here: Home » Articles » The Godhead » Is God A Person? 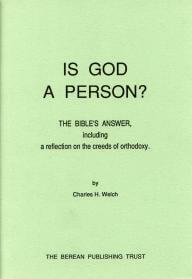 This PDF booklet discusses the above question, and several other issues concerning the being and nature of God. A deep and thought-provoking work. 5 Why is Elohim, the plural form, employed? 9 To Whom is Creation ascribed in the N.T. ?